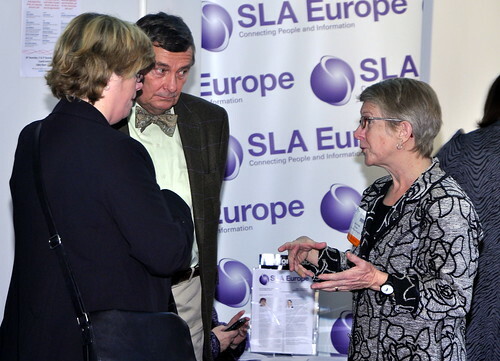 Thank you to everyone who stopped by SLA Europe’s stand at Online last week, or came along to the breakfast or the European Librarian Theatre. It was great to see so many people braved the snow! You can see our photos from Online on our Flickr account, and SLA Europe board members Sara Batts and Laura Woods have both blogged about their experiences at Online. You can also view some photos of the European Librarian Theatre on Picasa. Many thanks to EBSCO for their sponsorship.